Righty-ho, have we got a corker of a year lined up for you. We are always asked to put on new rides, both in and out of Auckland and we reckon this is a great mix. Dates shown where known otherwise we’ll keep updating this page so check back often. Riding Pondy Downhill in the near-dry conditions. It would be very different come the N-Duro the following weekend! 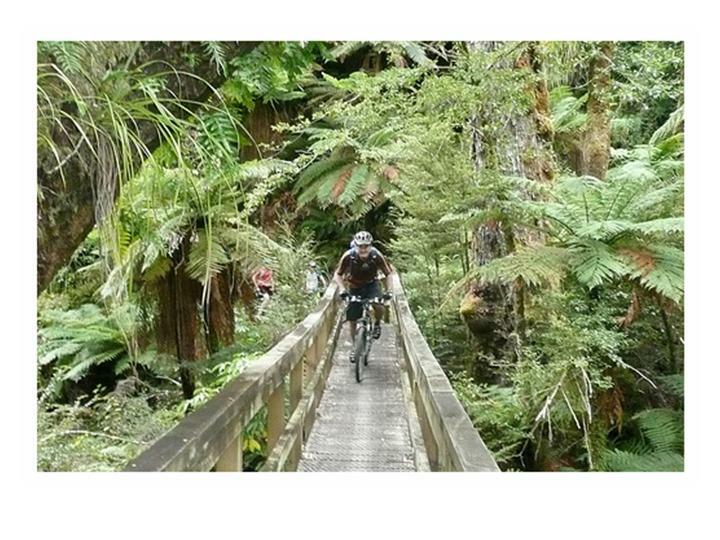 Check out the Hunua trails page on our website for more info on these trails that we’re rightly proud of. Great singltrack, all weather and mixed terrain. A good day out and possibly will be in use as a race venue later in the year….. 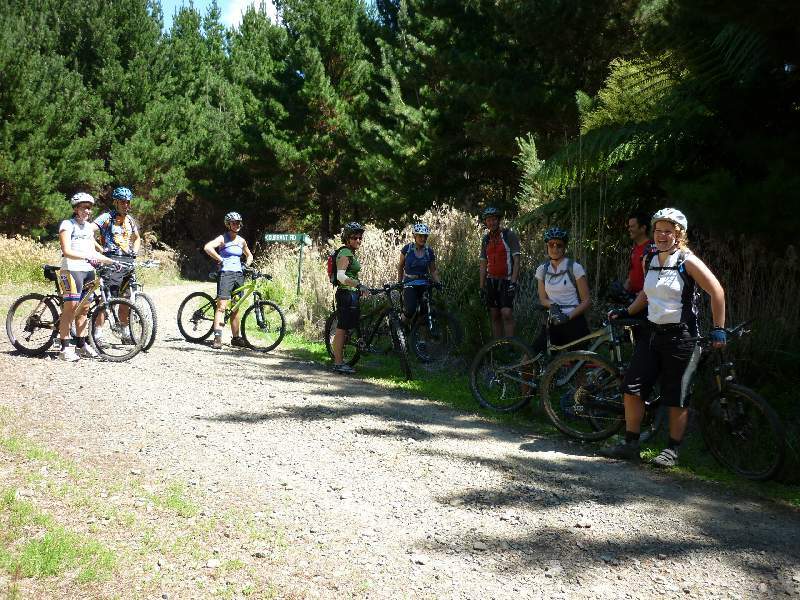 So this ride kind of got overlooked with the AGM and race series kicking off but Geoff Buysman showed a few of our riders around the superb trails that the Te Aroha guys have been building. It is worth another trip down there I reckon but for now, here is a brief report from a wet-through Aidan. 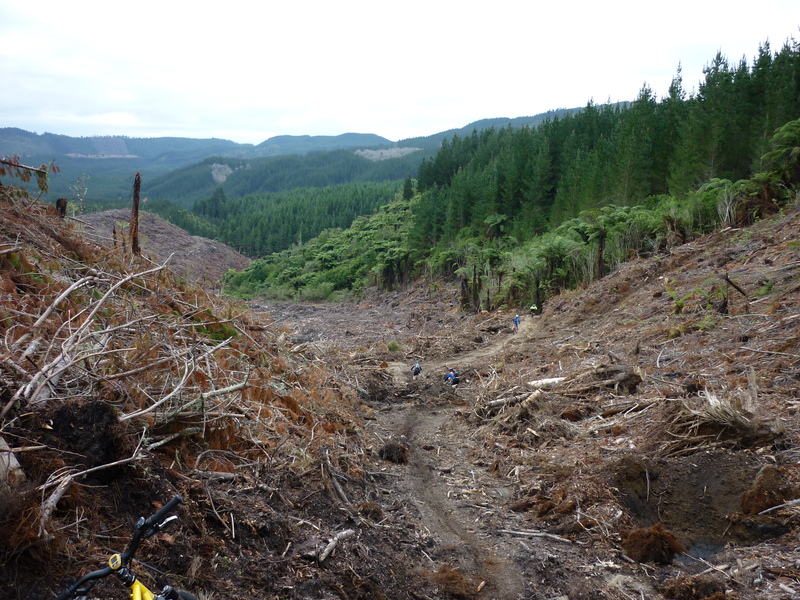 James and the boys have continued to cut and form new trails and the Auckland MTB Club will be helping them out through 2010 to keep the momentum going. September might be a muddy time of year to ride but that’s part of the fun ;-). A great venue, right on your door step and not too far from some good bars in Albany….perfect! Starting at 10am we will meet at Oropi grove. This one of Tauranga’s old tracks that has just been given a face lift. The club ride will see us head up a super short climb before dropping in to a fast flowing single track with bermed corners (grade 3), there are a few jumps with bypass options. For those who have some puff left in them we will take a quick drive over to Papamoa to hit the trails at Summer Hill Farm mtb trails. 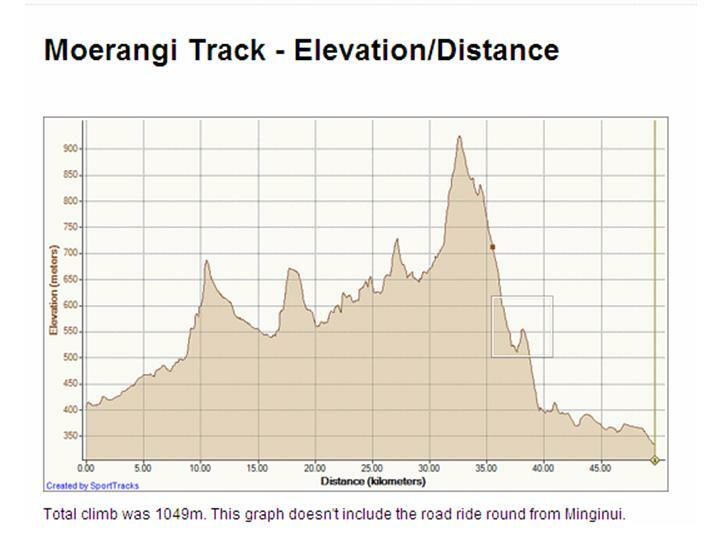 Summerhill is a rapidly growing MTB venue a few kms into the Papamoa Hills where we should be able to hit 20km of good riding on the challenging, mostly singletrack terrain. A great ride for those of you that have never been. We have arranged accommodation at Mt Maunganui at a cost of $15 for the night. For those who are after a bite to eat and a quiet drink we will head towards the main street at the Mount to the Astrolabe or the mount hot salt water pools. 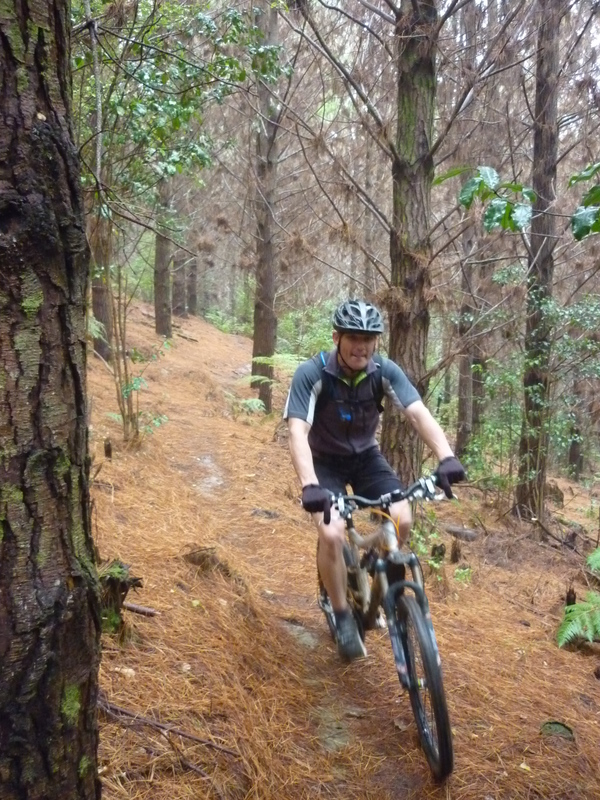 Info on the trails and directions available on the Tauranga MTB club website here. To register your interest, sort out accomodation etc contact Tim directly by email. This is a must do ride on every mountain bikers list. The thinking is to do a 3 day trip as follows so as to cater for a range of riding abilities and fitness. May also look at a 2 day ride if there is enough interest. – Costs for water taxi, bag transfers, and accommodation (bunk room/shared bathroom) approx $160. There are other options for more upmarket accommodation if you are happy to pay more. – Travel costs based on flying to Blenheim and getting shuttle bus to Picton approx $300. Other options such as driving/flying to Wellington and getting flight or ferry to Picton are also available. Not sure what numbers we are looking at yet – will depend on travel options and accommodation availability. Probably somewhere between 12 and 20. As I will have to pre-book and pay for the accommodation a deposit of about $100 per person will be required. 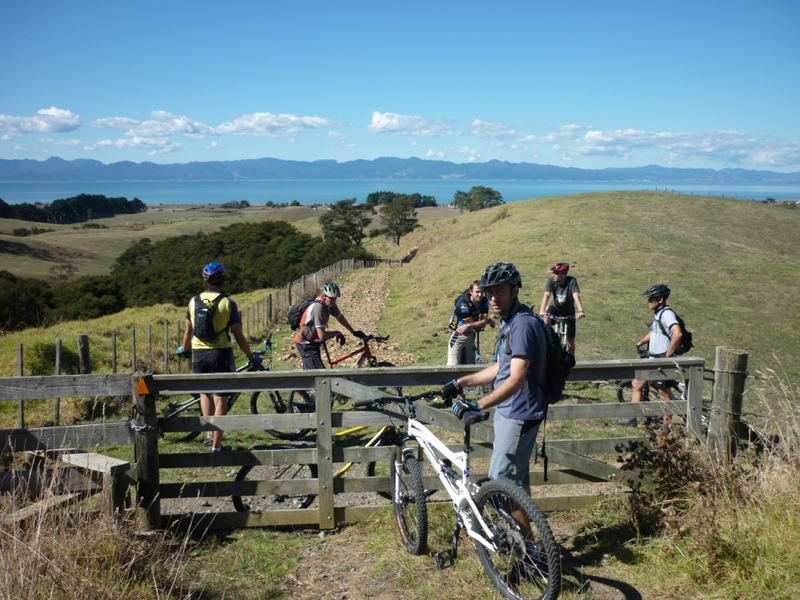 The 42 traverse is one of the premium MTB rides in New Zealand. Check into the accommodation at Howard’s Mountain Lodge sometime on Friday night and meet up with the rest of the gang. Assemble for the shuttle to pick us up around 9:30am* and head up to the 42nd Traverse. The shuttle will then return us to Howard’s Mountain Lodge, Shower and freshen up and head into Basekamp for a evening. If you fail to bring these basics your shuttle fee will be refunded and you will be excluded, Yes we will check – we’ve been burnt before! If you’re not sure your bike or kit is up to scratch, take it in to one of our sponsor shops (R&R Sport or Wallis Cycles) and they’ll tell you if it needs a service or tweak. 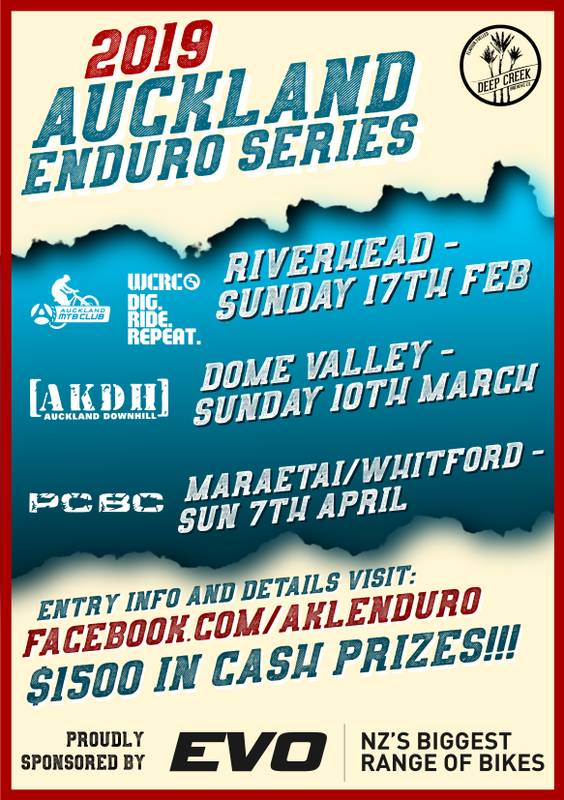 Click here to sign up…..Limited to 32 riders. When will there be more information available on the 42nd Traverse trip? If you own a towbar bike rack (needed for your bike) and would like a lift down to the 42 Traverse weekend, I can help you out. Ill be leaving on Friday 10th between 12:30 and 13:30 from Michael’s Ave in Ellerslie. PM me if your interested.